Russian President Vladimir Putin claimed that de jure the annexed Sevastopol has always been part of Russia. During a meeting with Moscow Mayor Sergei Sobyanin, Putin said that “Sevastopol was simply forgotten” while transferring Crimea to the Ukrainian SSR in 1954. “It [Sevastopol] was a city of central subordination, and even when transferring the Crimea from the RSFSR to the Ukrainian SSR,” he noted. Putin also stressed that Crimea was allegedly transferred to Ukraine illegally. He explained this by the fact that the decision was made by the presidium of the Supreme Soviet of Russia and Ukraine, and after that it was approved by the Supreme Soviet of the USSR. Whereas, according to the Russian president, it was not the presidiums that were to approve the transfer, but the parliaments of the Union republics themselves. 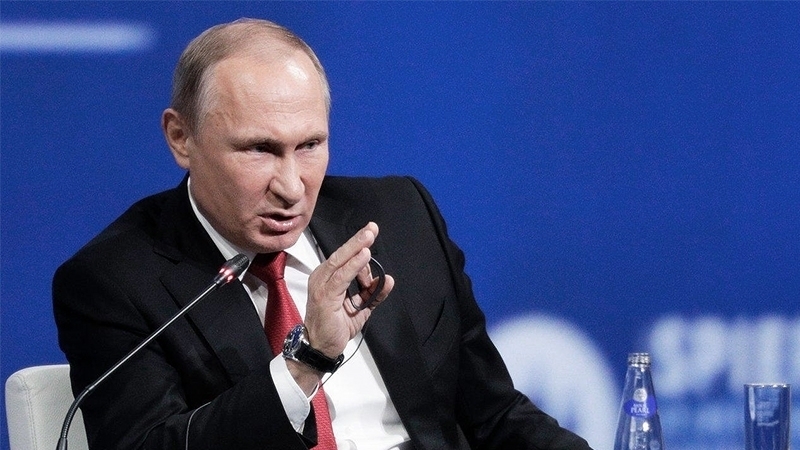 QHA reported that in July, Vladimir Putin, in his speech at a press conference with US President Donald Trump, acknowledged that it was Russia that held a “referendum” in the Crimea. Ukrainian scholar, Doctor of Law, Professor Aleksandr Merezhko said that this is quite enough to speak about its illegality, because international law does not allow one state to hold "referendums" in the territory of another. Later the Kremlin corrected Putin's quote on the "referendum" in printed versions. From the phrase: "We believe that we held a referendum in strict accordance with international law, with the UN Charter" the second "we" was removed changing the essence of the statement.